Minister Bennett speaks with Hebrew University President following news that national anthem won't be played at graduation ceremony tonight. 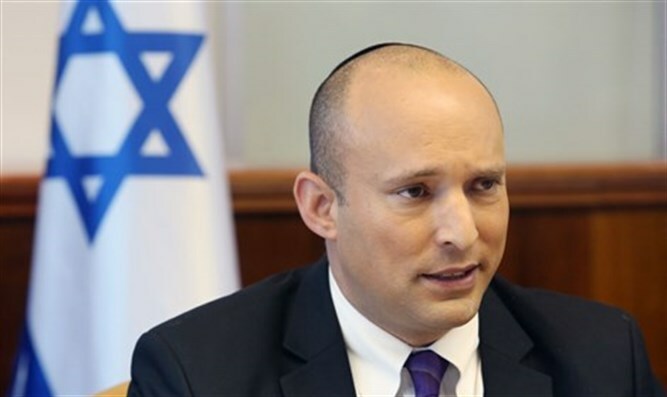 Minister of Education and Head of Jewish Home party Naftali Bennett talked this morning with President of Hebrew University Prof. Menachem Ben-Sasson following the instruction of the Dean of Humanities that the national anthem, Hatikvah, not be played at tonight’s degree ceremony. Bennett emphasized that every state ceremony held at the university must include the playing of Hatikvah. In addition, he told the President that even with respect to non-state ceremonies, the decision of whether or not to play the anthem cannot be influenced by consideration of whose feelings it hurts, as a symbol of the state of Israel does not constitute any harm. He also reminded the President that the Hebrew University is a public institution of the state of Israel. As such, “A public institution needs to honor the state that stands behind it. The significance of ‘academic freedom’ is that the values of the state are not harmed,” he said. Prof. Ben-Sasson made a commitment to ensure that Hatikvah is played at state ceremonies, and additionally said that he would look into the specific event in question with the Dean of Humanities.